The Spanish Arch is one of the last remaining pieces of Galway's historical city walls. As a medieval city, one of the main characteristics of Galway is that it used to have a wall that kept invading armies out. Galway has always had a close relationship with both Spain and Portugal, so much so that at one point the ruling class in Dublin once said that "Galway is more Spanish than Irish" due to the large number of Spanish residence. It is for this reason that the Spanish Arch got its name. The Spanish ships and galleons often would dock alongside the Arch. The famous explorer Christopher Columbus once visited Galway. The Spanish Arch is located on the Corrib, just at the edge of the city centre and overlooks the Claddagh. It based in Galway's Latin Quarter, which incorporates Quay street, Kirwins Lane and the Hall of the Red Earl, which are all worth a visit. Quay street is always alive with people and we would strongly recommend stopping in Tigh Neachtain for a drink. 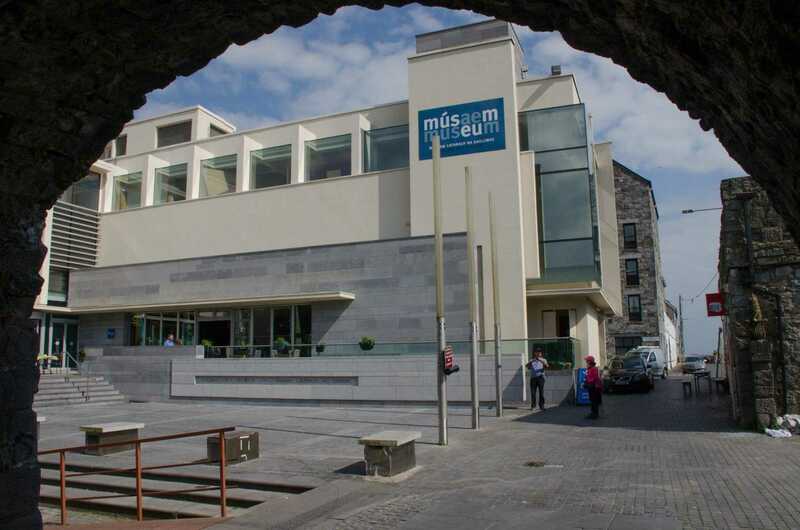 Just beyond the Spanish Arch is the Galway Museum and the Long Walk. The Long Walk used to be the place where boatmen would dry their ropes and sails after a day out at sea. The Long Walk featured in an Ed Sheeran video. Ed once busked on the streets of Galway and has many Irish relations. There are always plenty of buskers down at the Spanish Arch and it always has a lovely peaceful atmosphere. We recommend that you chill out, shoot the breeze, pick up a bodhrán or a book and have the "craic" with the locals down the "Sparch". Join us on one of our Walking Tours! When you're at Galway Business School, you should partake in one of our walking tours. We show you the main stops around Galway City Centre and tell you all about the history of our home!